We love all things pretzel related in my house. Giant hot pretzels from street carts are a family favorite, as are pretzel bites and even pretzel chicken for dinner. 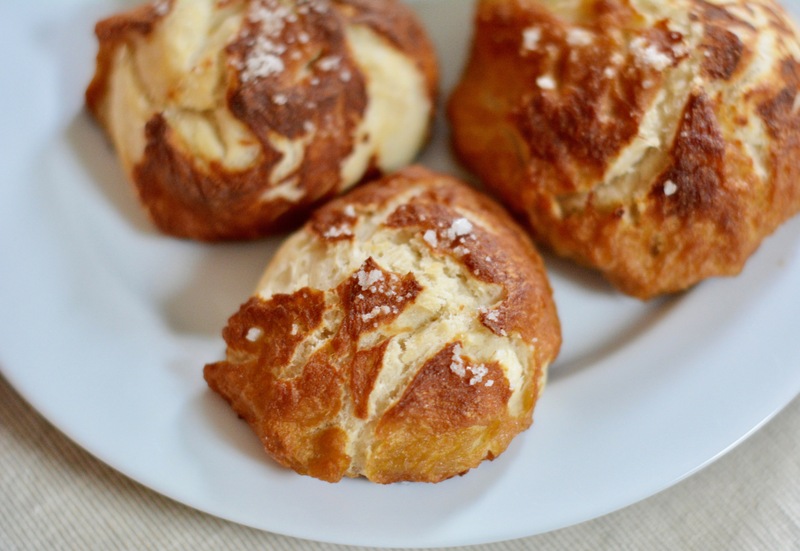 But one of the best things to ever come out of my oven – and I’m not exaggerating when I say this – are easy homemade pretzel buns. Soft and spongy on the inside and brown and crunch on the outside – they are irresistible. If you don’t devour them the minute they come out of the oven, homemade pretzel buns are great for lunch sandwiches, burgers, pulled pork sliders, or simply as a side to a salad or even pasta. 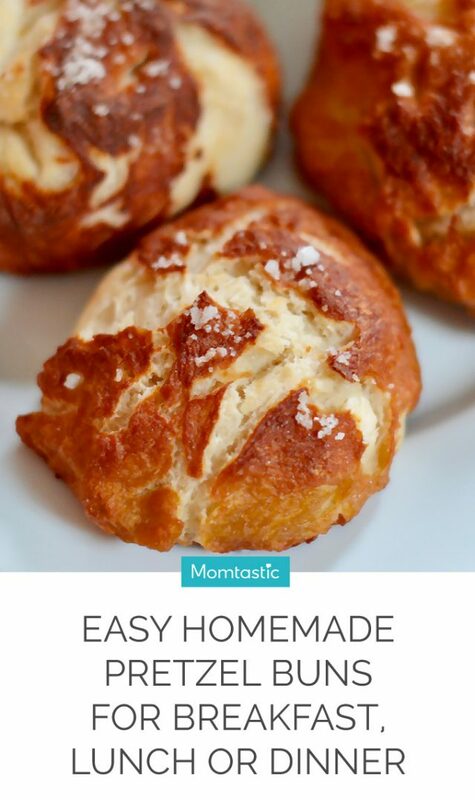 My kids will even eat pretzel buns with cream cheese or butter for breakfast. 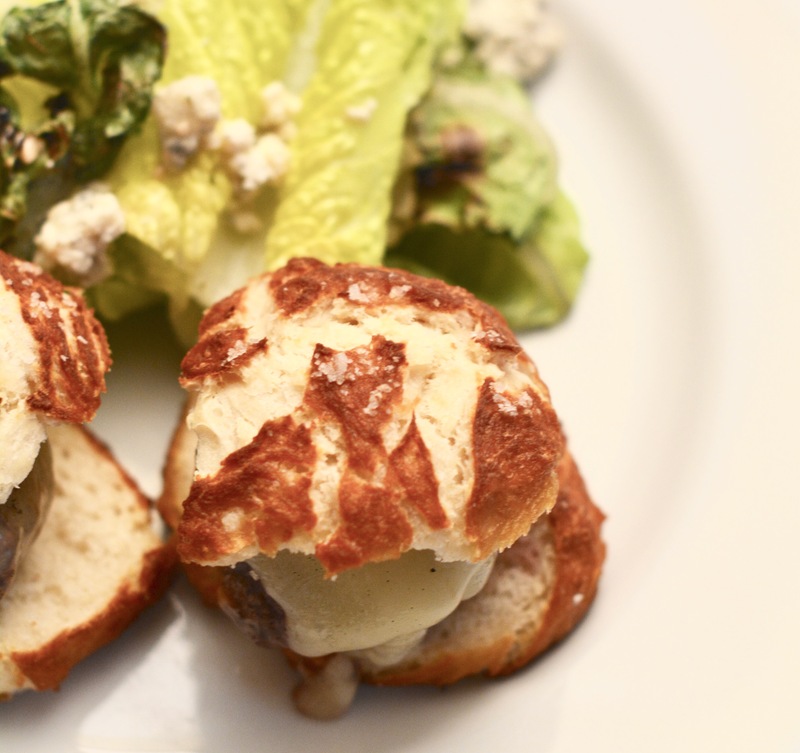 The secret to these pretzel buns is giving them a quick bath in a boiling water and baking soda solution before popping them in the oven – this is what gives them their distinctive flavor and color. 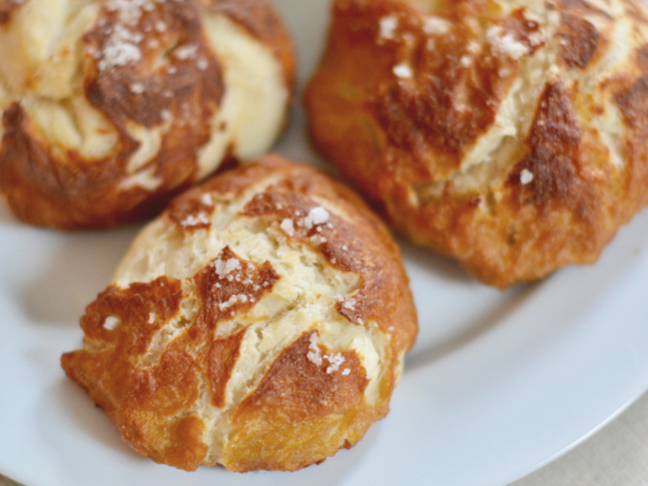 And don’t hesitate to get the kids involved when making these pretzel buns – they can help knead the dough, shape the dough balls and brush on the butter. Step 1: Get out two large mixing bowls. Grease the interior of one and set it aside. In the second bowl add the warm water and the yeast and let it sit for 5 minutes, or until the yeast starts to bloom. If the yeast doesn't bloom it's probably dead, dump it out and try it again with fresh yeast. Step 2: Whisk in the salt, sugar, and 1 tablespoon of melted butter. With a wooden spoon stir in the flour one cup at a time until a dough ball forms. Step 3: Sprinkle some flour on a work surface and turn out the dough. Form it into a ball and kneed it for about 3 minutes. Then place it in the greased mixing bowl, cover it with plastic wrap, and set it in a warm place away from direct sunlight and allow it to rise for one hour. Step 4: Preheat the oven to 400 degrees F and line a large baking sheet with a Silpat or parchment paper. Step 5: Add the water and baking soda to a large pot and bring it to a boil. Step 6: After an hour the dough should have doubled in size. Punch it down and roll it into 12 large balls, or 24 small balls. Place the dough balls in the boiling water for about 30 seconds and then remove them with a slotted spoon and place them on a lined baking sheet. Step 7: Melt the remaining butter and brush it over the dough balls. Make little slits in each ball and sprinkle them with coarse salt. Bake them for 20-25 minutes, or until they turn a deep brown and are set. Step 8: Remove from the oven and allow to cool!